The new Battery Innovation Center (BIC) in southern Indiana will focus on issues related to home electricity storage and how grid operators can use that energy efficiently. The BIC is a collaboration between Duke Energy and the Indiana Office of Utility Consumer Counselor (OUCC). The partnership is a shotgun wedding resulting from the settlement of a regulatory case brought by the OUCC against Duke Energy in 2012. 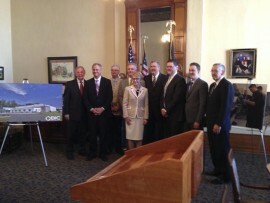 “Through this new partnership between the OUCC, BIC and Duke Energy, Indiana will continue to grow the public and private partnerships necessary to bring together the talent and resources to make our state a leader in energy storage,” Lt. 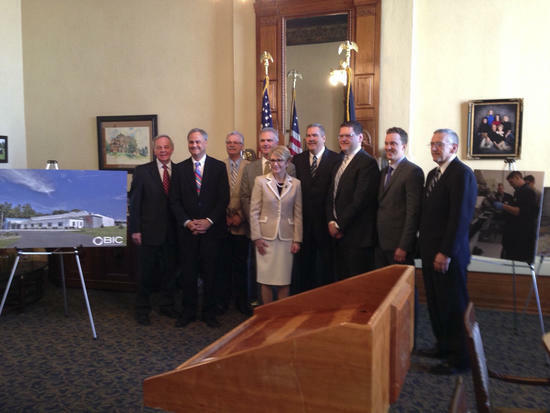 Governor Sue Ellspermann told the Green County Daily World. Duke Energy is providing $1 million in funding for the Battery Innovation Center. At issue is how to manage the increased amount of electricity that will be generated by renewable power sources such as rooftop solar panels and small wind turbines in the future. Alternative energy is causing big changes in how our electrical grids are managed, particularly now that home battery storage systems are coming to market. Where once there were enormous central generating plants, now every roof top and open field is a potential energy source and “distributed energy” is the new paradigm. The word “dividends” is key. Utility companies like Duke Energy pay dividends to their shareholders and bondholders, who made their investments based upon the assumption the electricity business model would stay more or less the same forever. “Distributed energy” will cause enormous changes in that thinking and some people are naturally worried about the safety of their investments. By the same token, industry executives are concerned for their jobs. There will be some financial pain going forward. How to manage the changes to maximize the winners and minimize the losers is why organizations like the Battery Innovation Center exist.